All great windsurfers start out as beginners and over time, advance their skills. 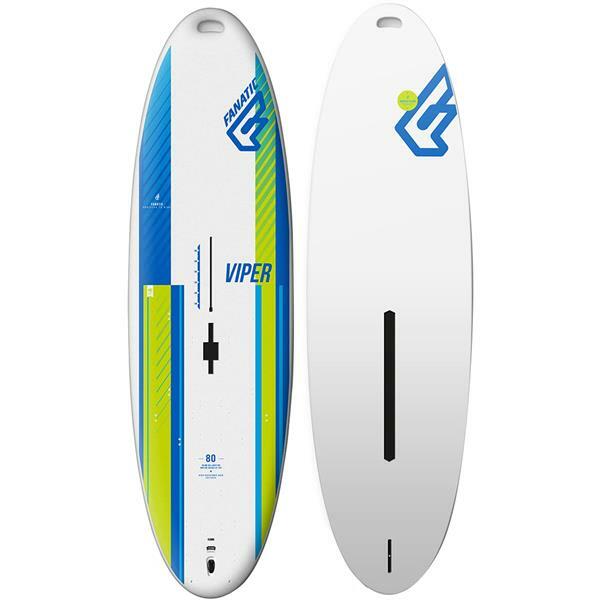 The Fanatic Viper windsurf board is the perfect board to do just that! This is a great beginner/entry level board that has a ton of float (190L), providing critical balance and support so you can grow your skills and confidence. 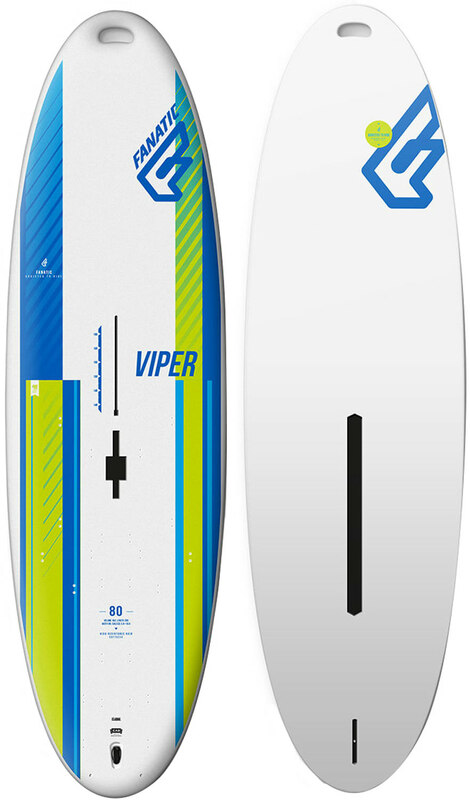 The Viper is designed with a CAD engineered power rocker, which gives the board excellent glide over the water at a variety of different speeds. A removable daggerboard will help you steer more efficiently and allow you to stay upwind easier while out zooming on the water mastering your windsurfing skills. The top deck is soft and padded and is a critical feature that will save your knees and body from a ton of stress and pain from climbing on the board. The Viper has a thinner profile which makes turning and maneuvering the board simpler and more user-friendly. A convenient nose handle allows for easier movement and manipulation of the board in the water. This windsurfing board has many footstrap positions for when you are ready to take your riding to new speeds with added control. Grab the Fanatic Viper and begin your wonderful journey into the sport of windsurfing. Does this board comes with footstraps? No, this board does not come with foot straps.